Paint a Lantern at the West Tisbury Library! 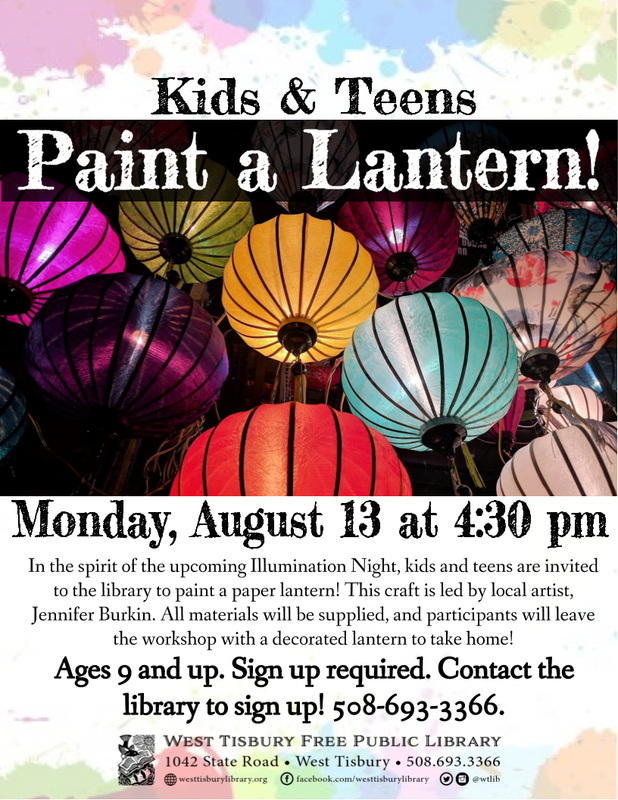 In the spirit of the upcoming Annual Illumination Night, kids and teens are invited to the West Tisbury Library on Monday, August 13th at 4:30 pm to paint a paper lantern! This craft is led by local artist, Jennifer Burkin. All materials will be supplied, and kids will leave the workshop with a decorated lantern to take home! This event is for kids ages 9 and up. Pre-registration is required. Call or stop in the library to register: 508-693-3366. This event is free and open to the public.